Compact evergreen. 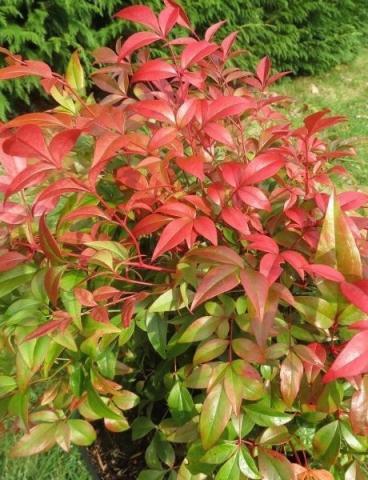 New leathery foliage emerges bright red, turns light green and amazing reds in the autumn. Clusters of white flowers, June to July. 70cm tall. Sun or semi shade. Good in containers.